Our next event – the first in our trial of running them monthly! There’ll be the usual friendly atmosphere, with drinks and food/snacks, plus the opportunity to learn how to repair your stuff with our excellent fixers! We can attempt to repair most things, and usually have expert fixers of clothes, jewellery, electricals and computers. If you're not sure you want to bring something, try posting about it on the facebook event page! 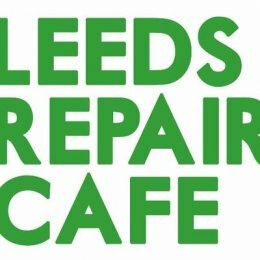 We sometimes help with repair cafes in other areas of Leeds. Get in touch if you'd like one where you live!